Home / Blog / Alcoholism / Should Sober People Drink Kombucha? Should Sober People Drink Kombucha? A recent health trend that has been growing more popular every year is the drink known as kombucha. Sold mostly in health stores initially, it is now available in almost any grocery store and many restaurants. People drink kombucha for its fruity flavor and probiotic properties that are said to improve digestion and boost the immune system. One of the issues with kombucha that makes it mildly controversial is the fact that the drink is essentially a fermented tea. Through the natural process of fermentation, there is a trace amount of alcohol in every glass or bottle of kombucha. Although the specific percentage is often not listed, most brands will state on their label that the alcohol content is less than 0.5%. However, there are certain types of kombucha which contain more than the legal amount of 0.5% and now require the buyer to present their I.D. before purchasing it. The alcohol levels in these brands are still minimal but it raises questions about how to classify kombucha. Although kombucha is not technically a beer, wine or other typical alcoholic drink, is it still safe for people in recovery to drink? Kombucha is a simple drink made from some type of tea, usually black or green tea, sugar for fermentation, fruit juice for flavor and a “scoby” or symbiotic culture of bacteria and yeast. These ingredients are combined and allowed to ferment for a period of time. The drink is said to have great healing properties and contains numerous enzymes, probiotics and polyphenols which are good for digestion and helping the liver. Even though it has been touted as a superfood, kombucha had some controversy in recent years after the popular GT brand had to pull all of its bottles from the Whole Foods shelves. It was discovered that their black label kombucha contained more than the legal limit of 0.5% and it was then that the drink became more regulated with certain brands and flavors requiring I.D. to be purchased. 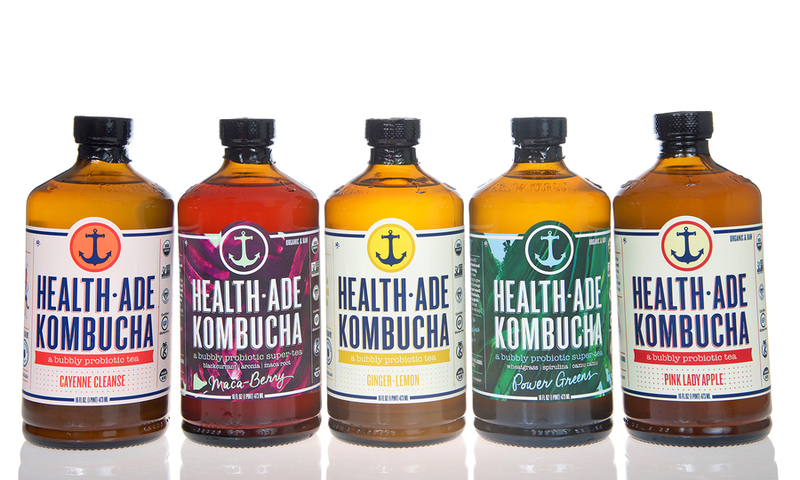 Some brands even purposefully make higher percentage kombucha with drinks containing as much as 7% alcohol. Although kombucha that doesn’t require I.D. is not technically an alcoholic drink, some people may still be weary of drinking it. People in recovery or those that choose to be sober may feel that kombucha is not safe for them. The question of whether a sober person should drink kombucha depends on the individual and their personal stage of recovery. Someone who recently quit drinking and is still experiencing cravings for alcohol should probably avoid drinking kombucha. It is believed that even trace amounts of alcohol can trigger the body to crave more alcohol. That is why many people in recovery need to avoid cooking with alcohol or using other products that might contain some alcohol. Twelve step programs tend to discourage members from drinking things like non-alcoholic beer because it becomes a slippery slope that can lead them down the road to relapse. Even the smell of alcohol can be enough to trigger cravings and relapse. Non-alcoholic beer typically has about 0.5% alcohol content which is the same as many kombuchas. When considering whether to drink kombucha or not, a sober person should evaluate how it makes them feel. Does drinking it make them feel healthy and happy or does it simply make them crave a real beer or wine? Some people might be able to drink kombucha without experiencing any triggers or cravings but it depends on the individual person. A good way to test whether a person should drink kombucha is to think about their motivation for doing so. Are you drinking it because it makes you feel relaxed or reminds you of the way you felt when you had a beer? Or are you simply enjoying it for its health properties and the taste? When a drink is reminiscent of alcohol for someone it can become a problem because they will eventually want to have a real drink. If you are concerned about drinking kombucha there are plenty of alternative choices for probiotics and health drinks that can be just as effective. Many drinks and foods have probiotics added but are not fermented so there is no trace alcohol that could be harmful to recovery. The decision to drink kombucha is a personal one and something that the individual has to make for themselves. If you don’t feel stable in your recovery then you should avoid it but if you are finding your sober life easier then it might be okay to at least try it. You need to listen to your body and your mind to make sure that you are making the right choice for your own recovery goals.